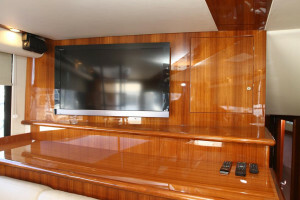 Words cannot do this boat justice. 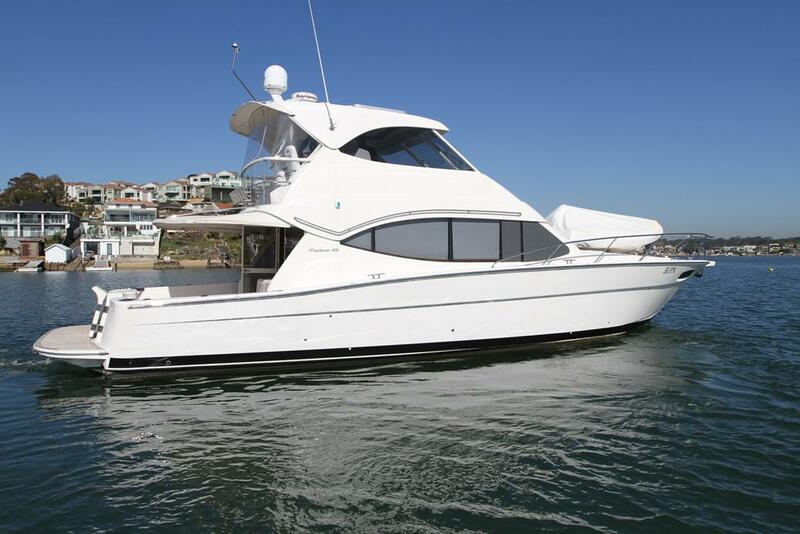 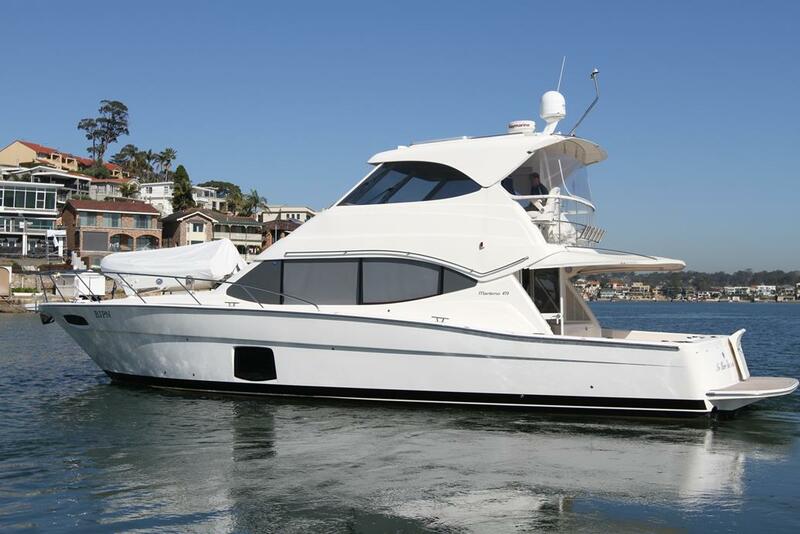 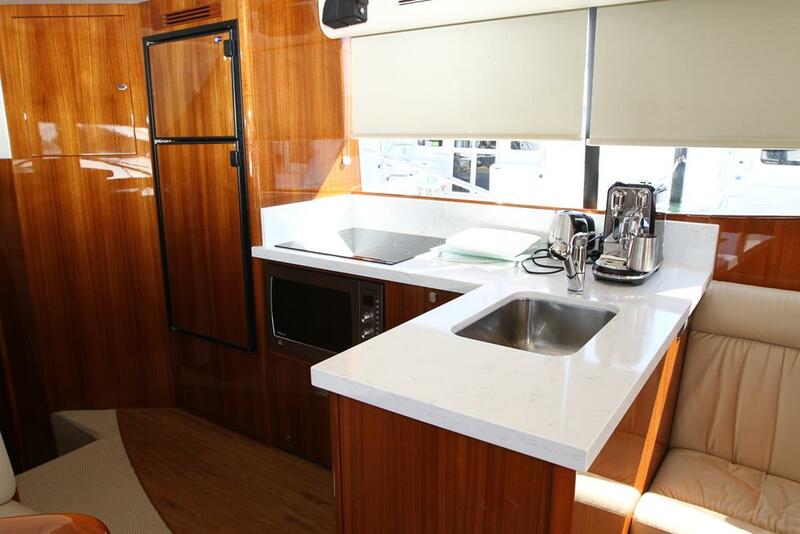 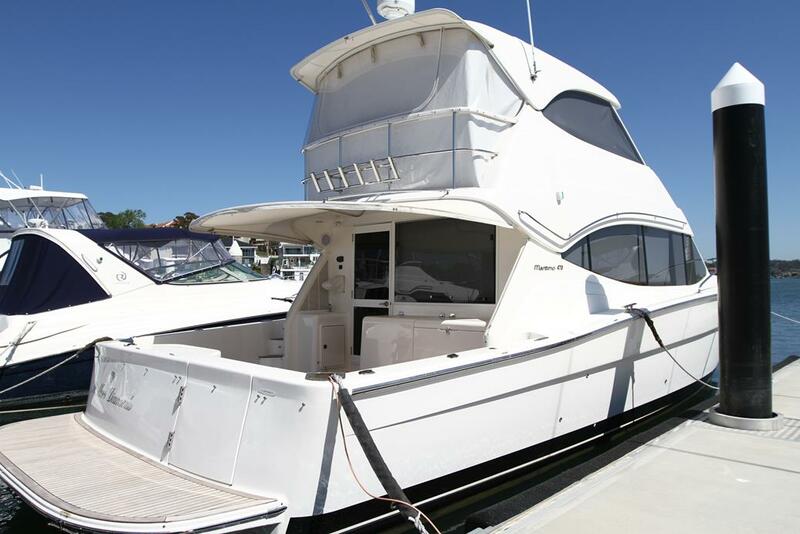 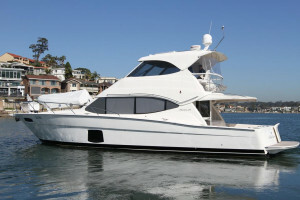 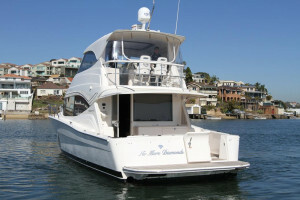 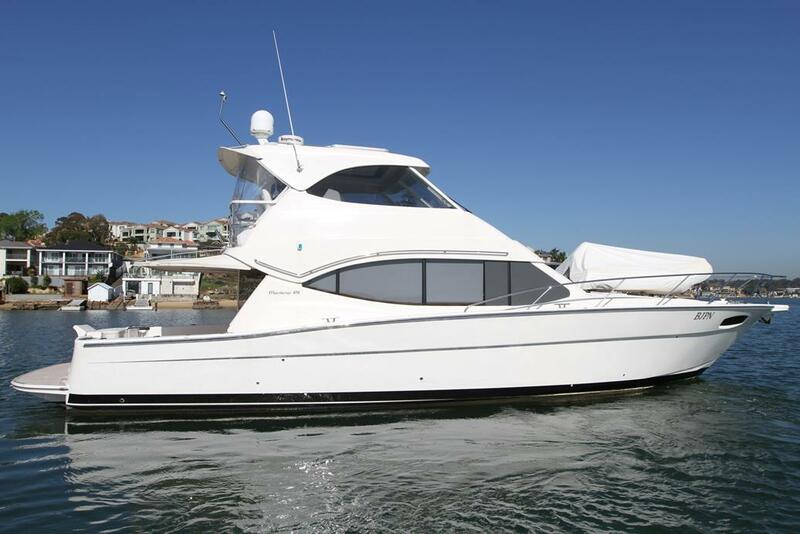 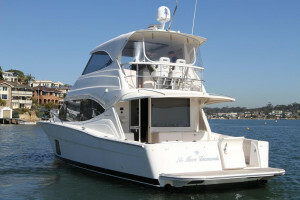 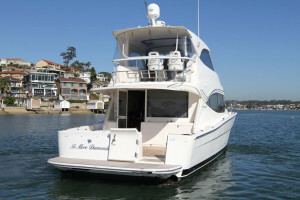 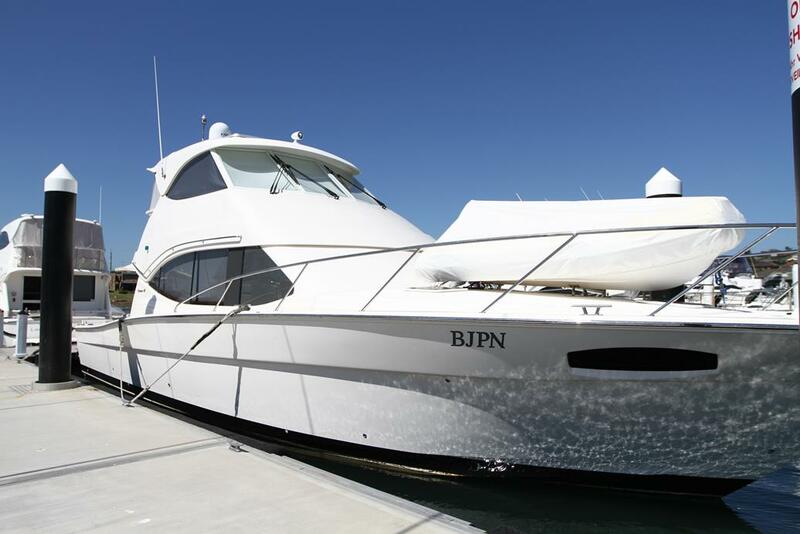 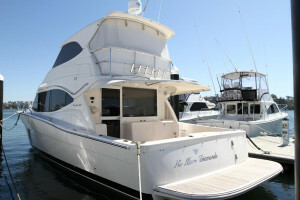 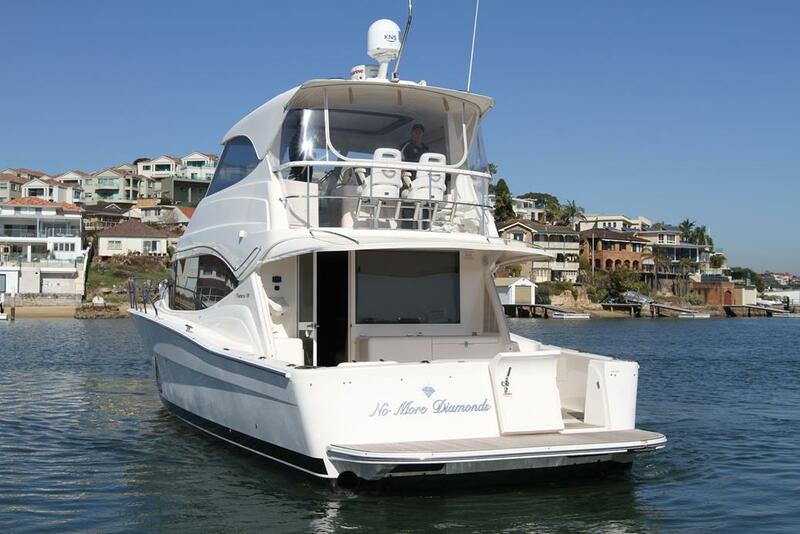 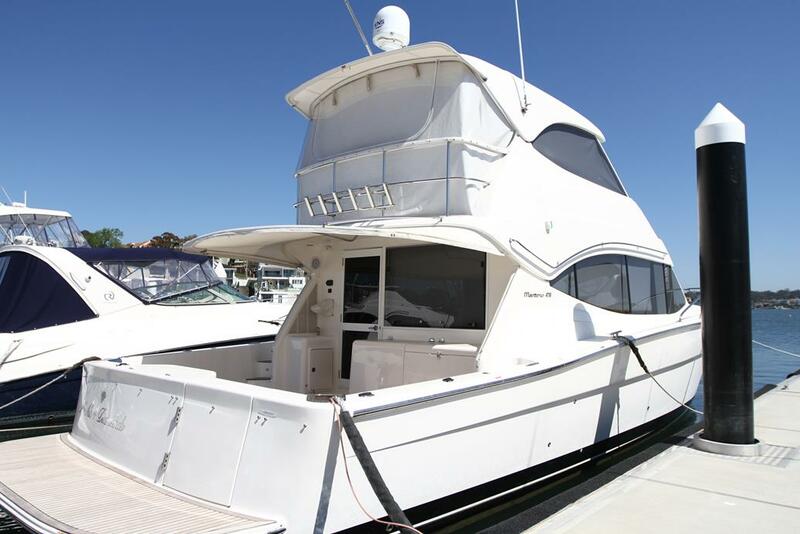 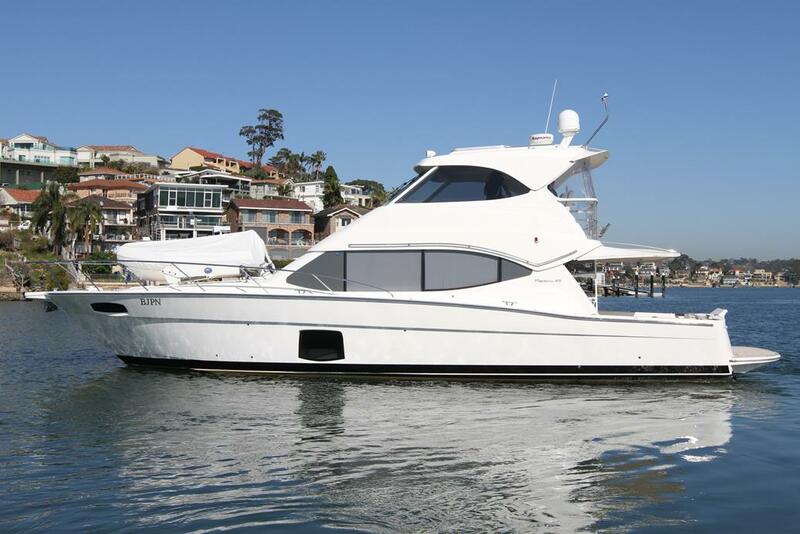 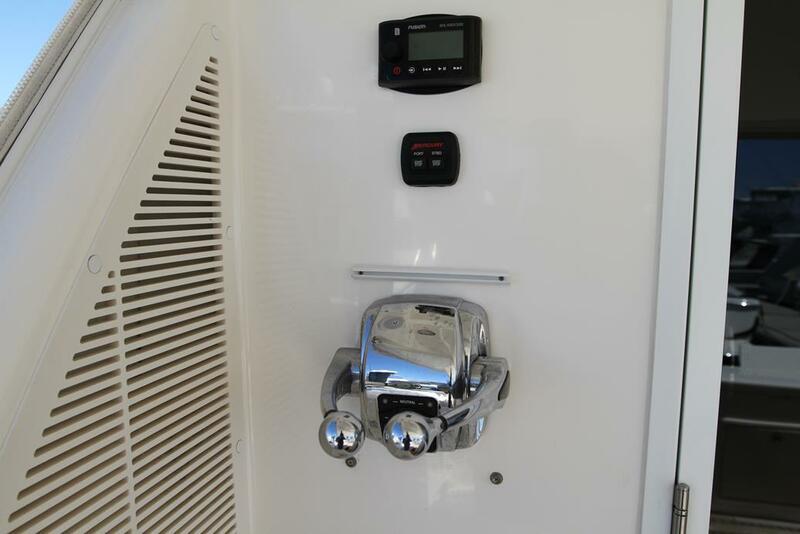 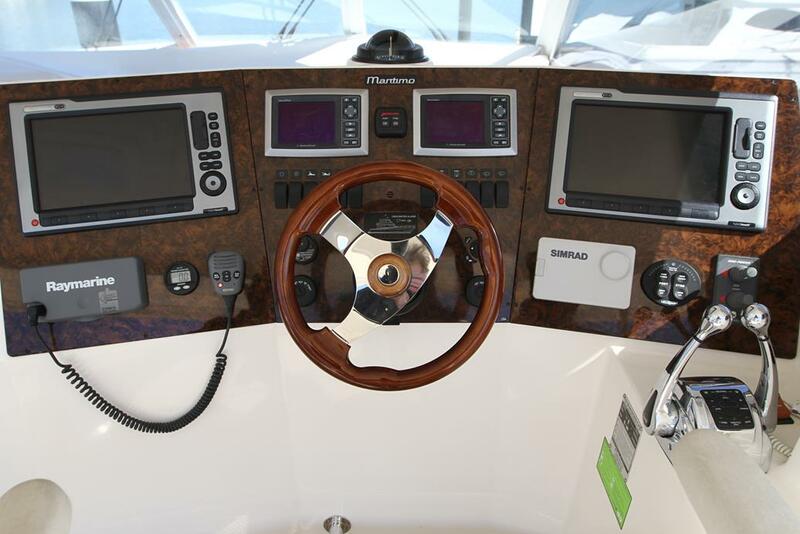 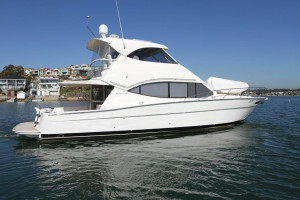 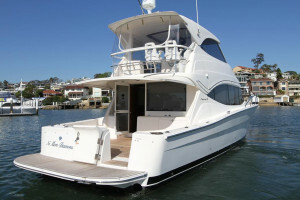 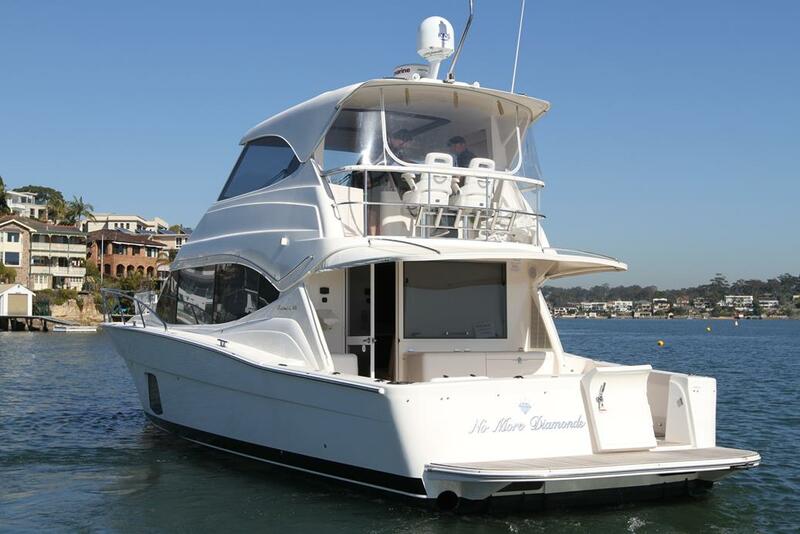 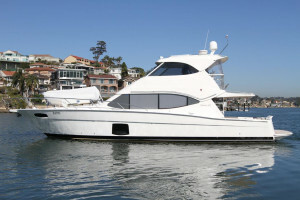 Maintained to the highest level by a very caring owner this 2011 Maritimo 470 offshore is powered by twin 600hp QSC Cummins shaft drive diesels with only 300 hours. 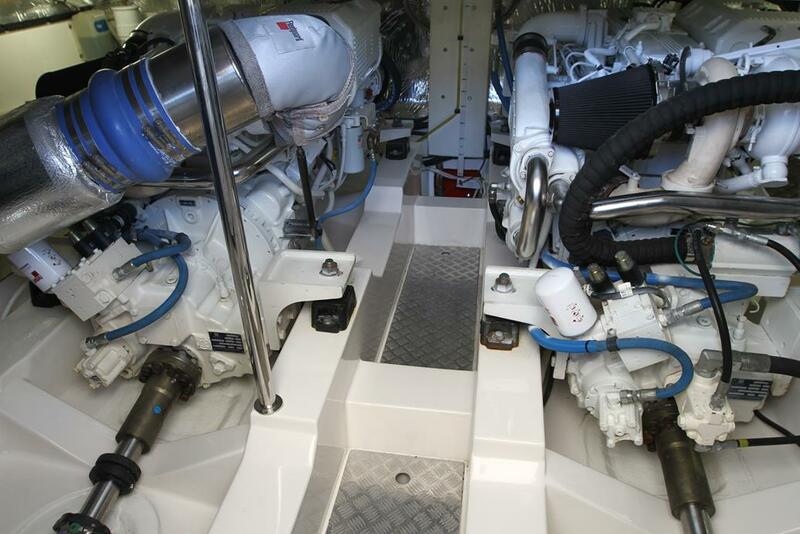 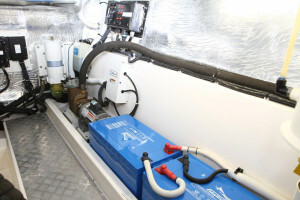 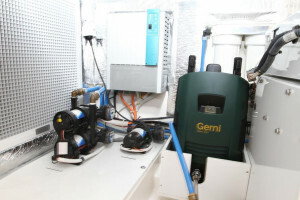 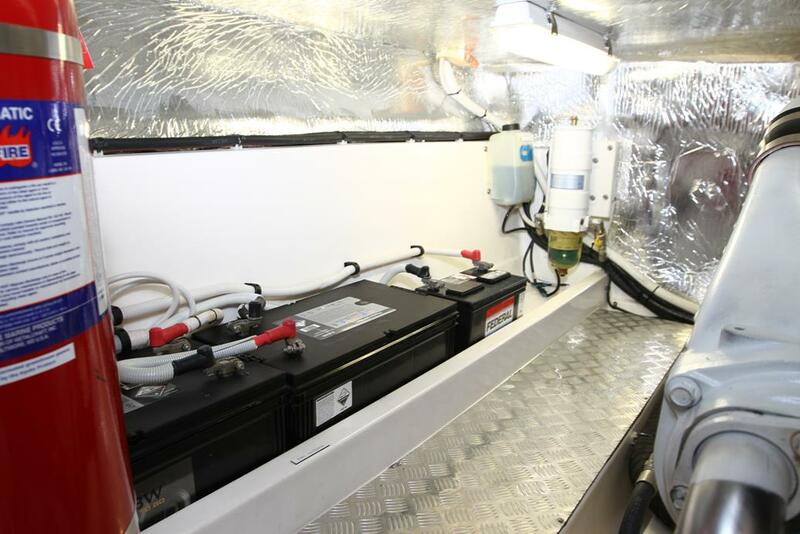 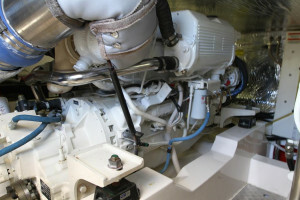 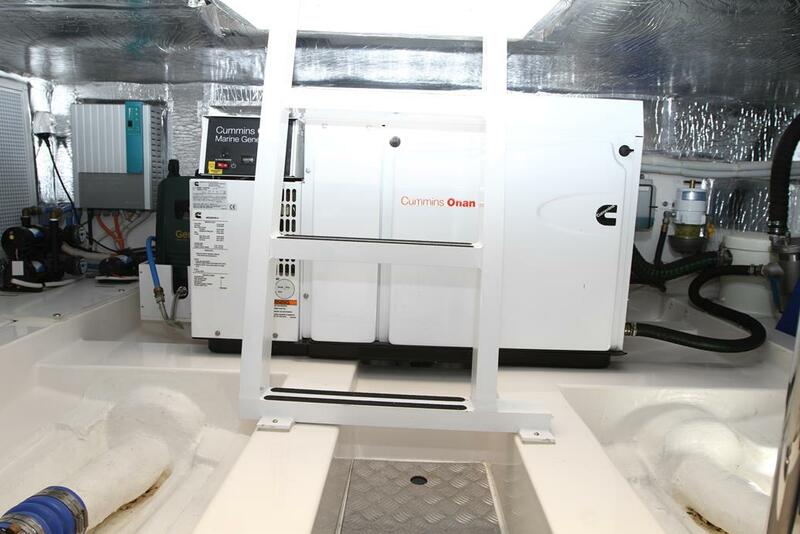 The engine room like the rest of the boat is as new with both engines and the 13.5 Kva Onan gen set having had regular servicing and upkeep. 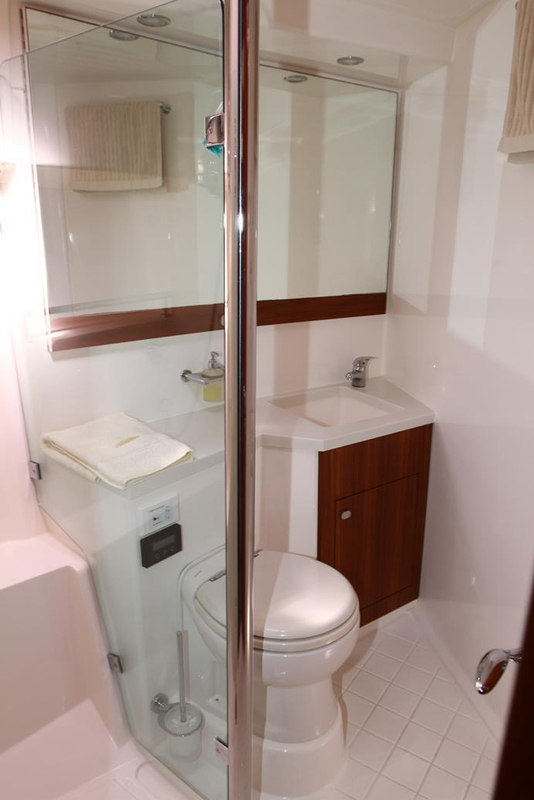 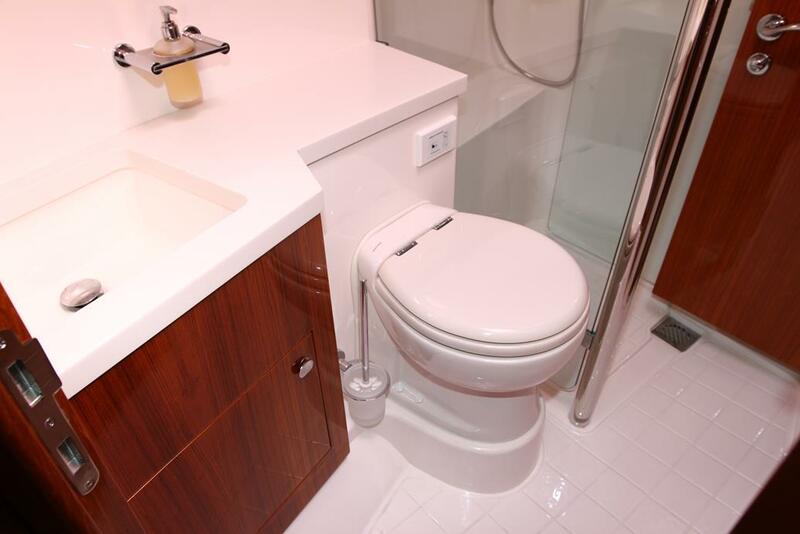 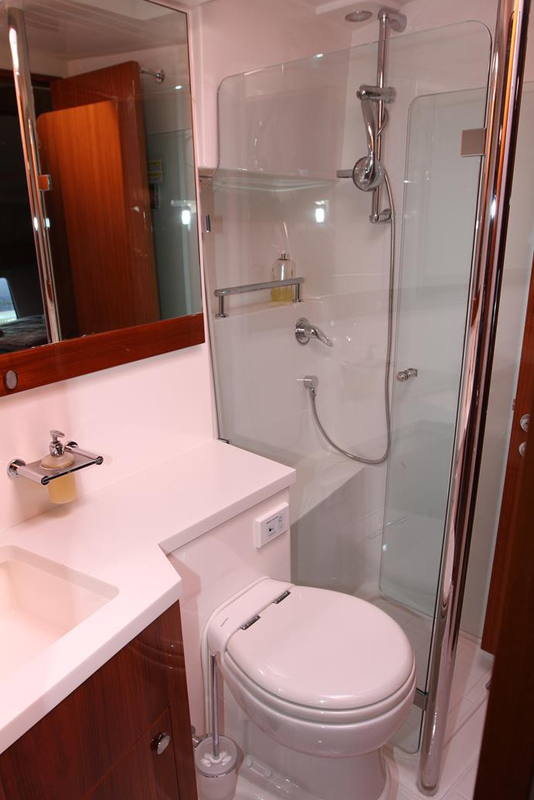 The three cabin two bathroom layout will suite families or those entertaining friends. 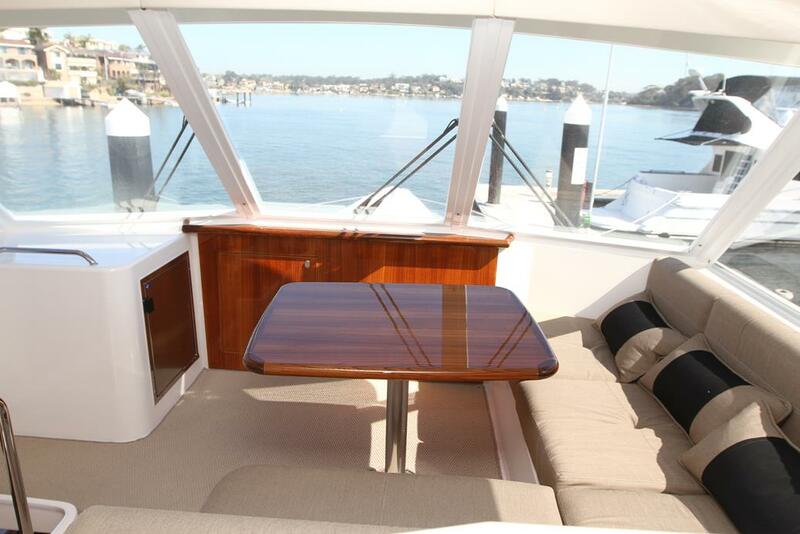 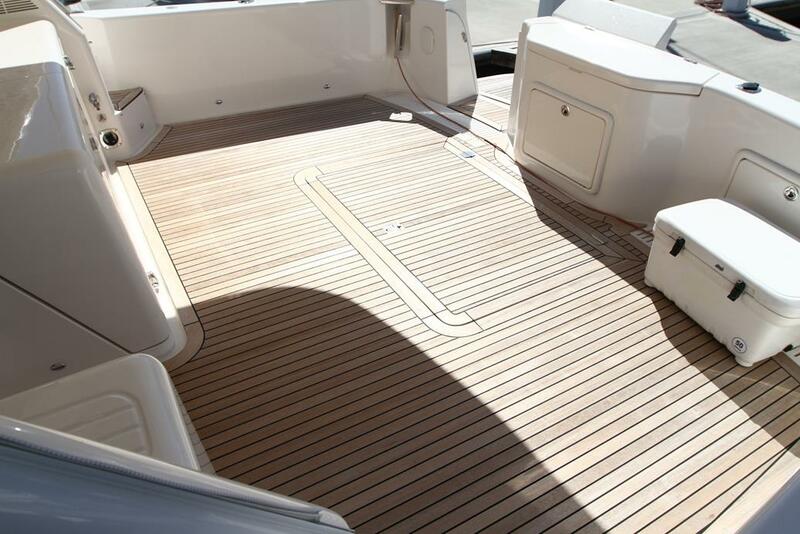 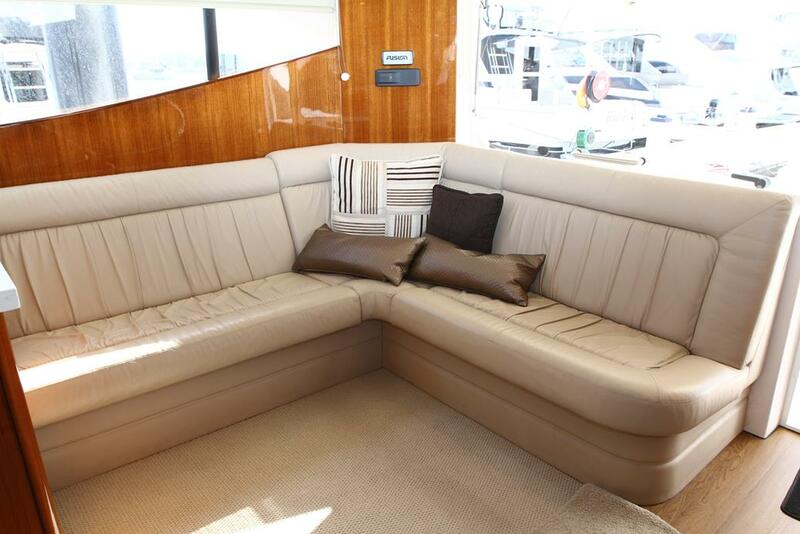 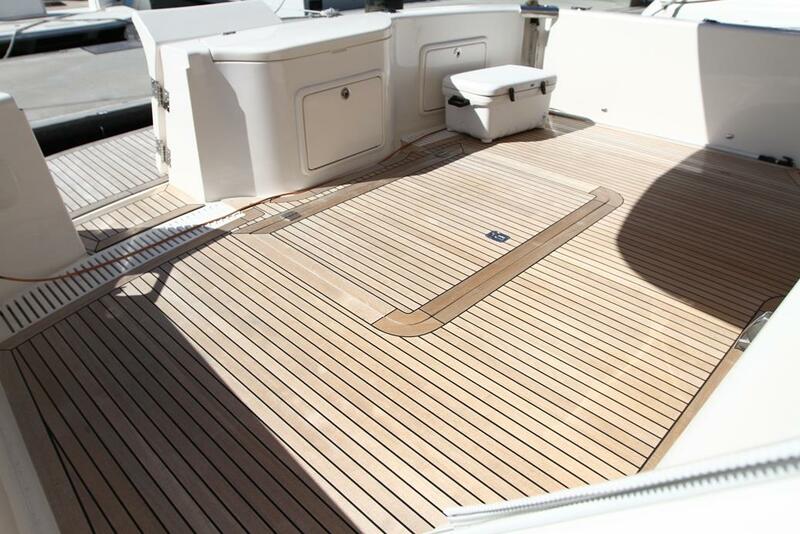 Like all boats from the Maritimo stable, the finish and fitout is world class with polished teak, leather upholstery and only the best fittings and components used. 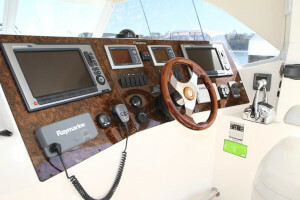 A few of this particular boats features include a Teak cockpit, Teak rear board, Bow and Stern thrusters with remote, Cockpit controls, Rear cockpit sun awning,350kg ADC deck crane and dinghy cradle (Tender not available) Cockpit LED lighting, Underwater lights, Cockpit speakers, Rod holders, Flybridge mounted rod rack, Inbuilt Gerni system for easy cleaning, Cockpit fridge, Spacious galley with four burner Omega cook top, Dishwasher, Panasonic Convection microwave, Large galley fridge and freezer, bar fridge, Wine cooler, Sony Bravia Tv fitted to the saloon with surround sound and satellite TV arial, Front and main cabins fitted with Tv's, Air conditioning to saloon, cabins and flybridge plus loads more. 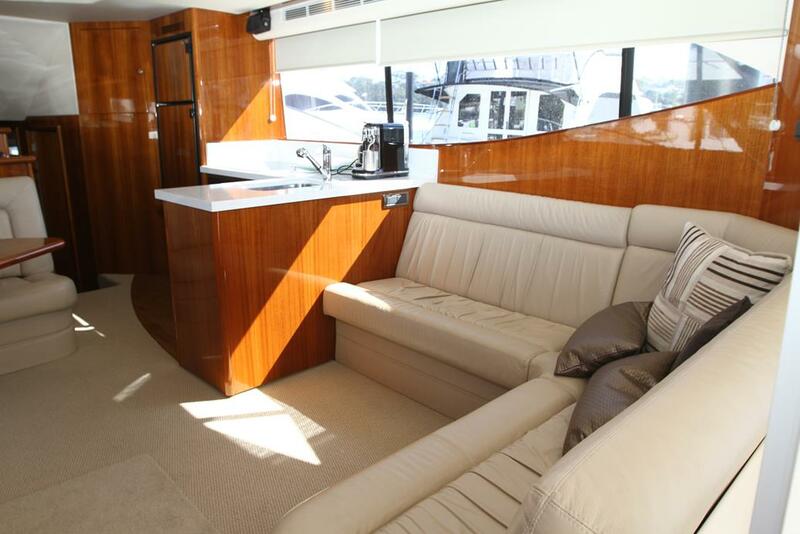 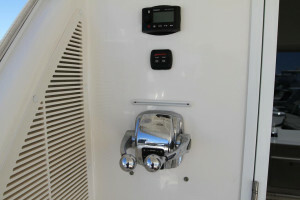 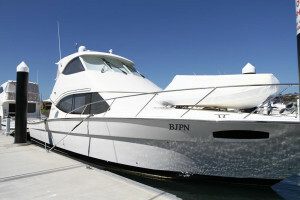 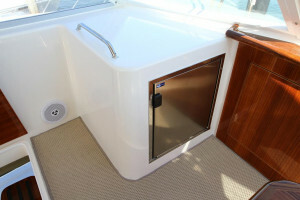 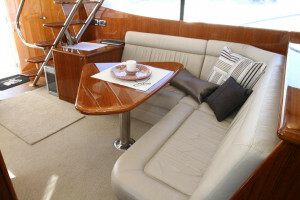 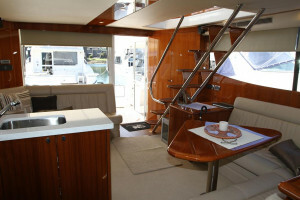 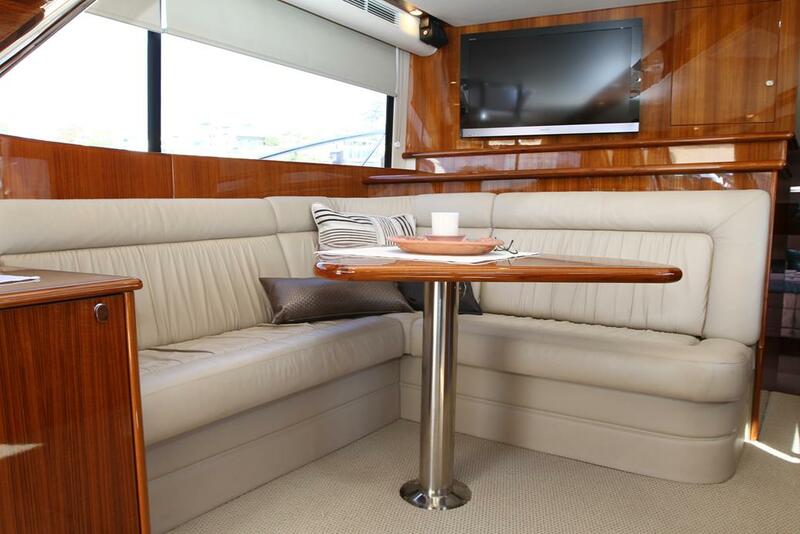 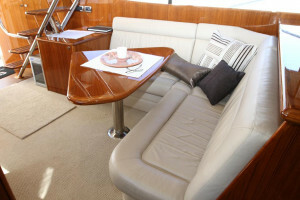 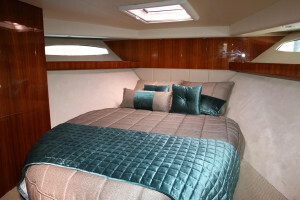 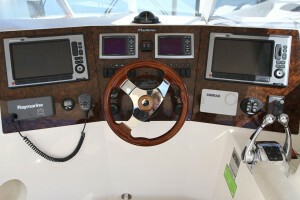 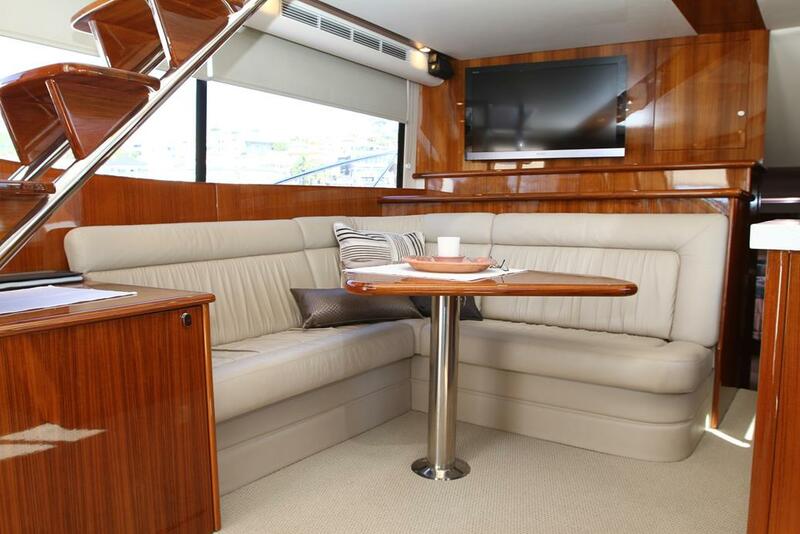 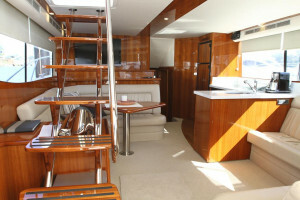 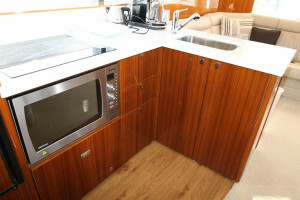 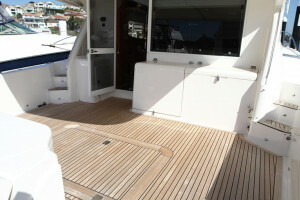 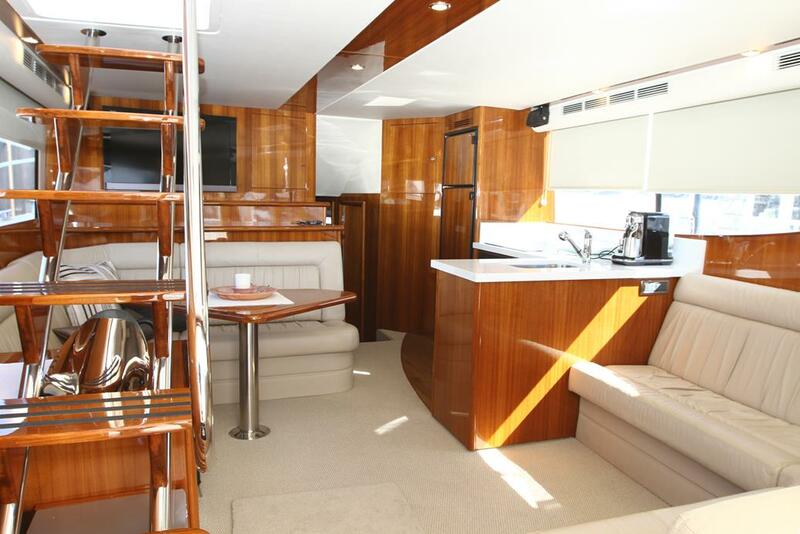 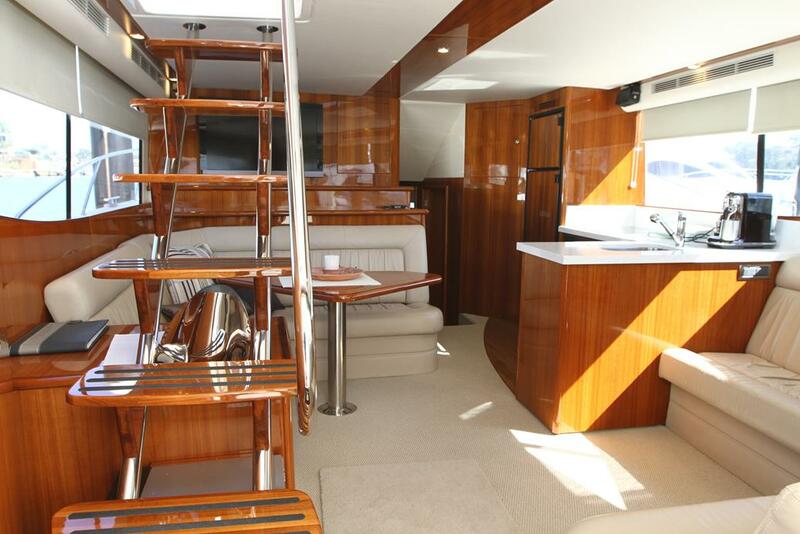 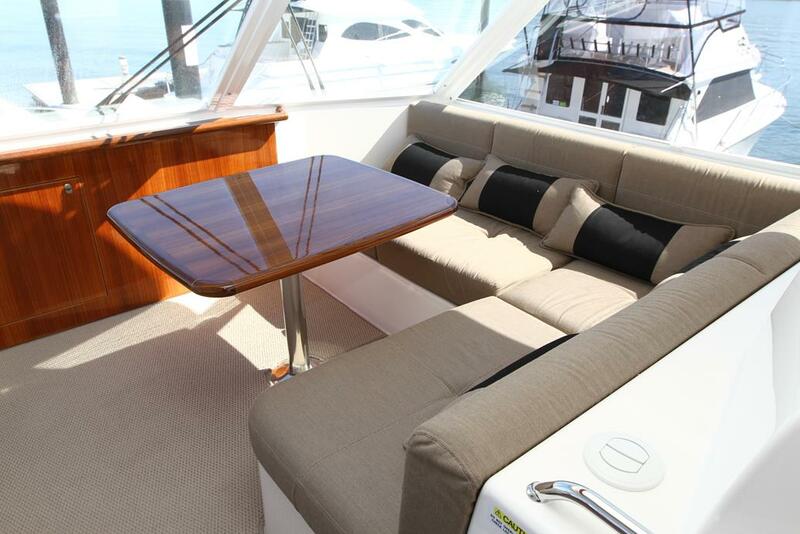 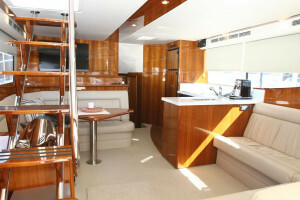 An internal staircase leads to the enclosed flybridge that has an electric sunroof, Fridge, sink unit with hot and cold water, Large L-Shape lounge with polished teak table, duel helm chairs, Remote control spotlight, Two Raymarine E120W colour displays with Radar, GPS chart plotter and sounder, Simrad auto pilot and Raymarine VHF radio. 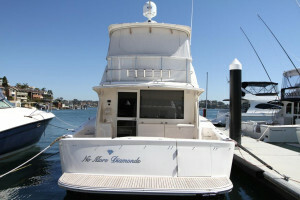 The boat has it all, be it cruising with family and friends, weekends away or heading off shore chasing gamefish. 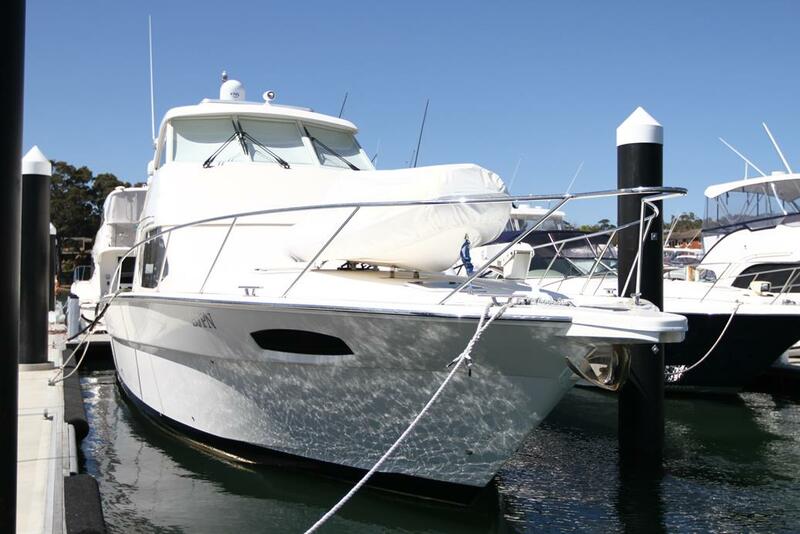 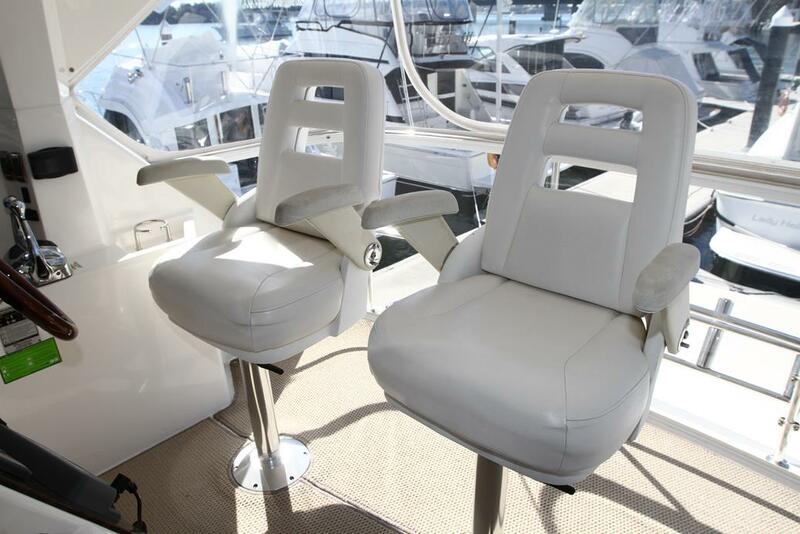 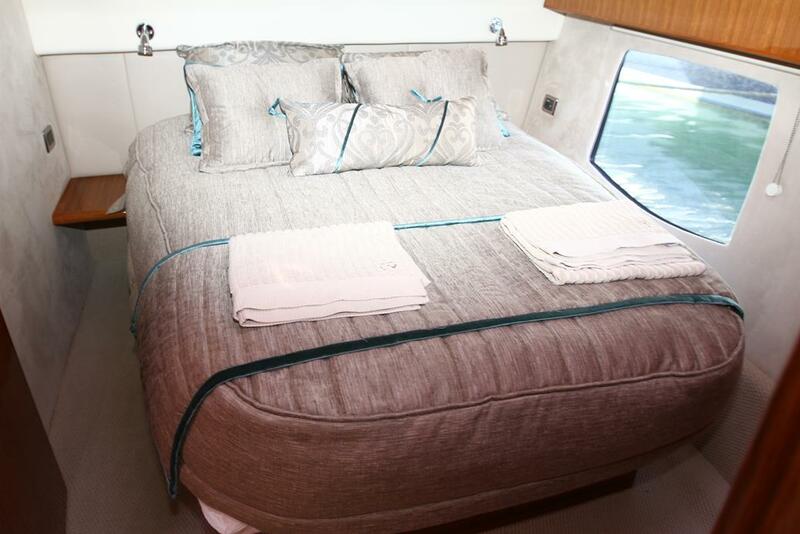 The above are only a few of this beautiful Maritimo 470's features and options. The boat is currently moored here at Sylvania and is available for inspection 7 days a week. 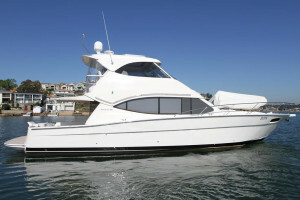 Owner will trade and finance is available.